Czechia is of course more widely known by it’s original name of Czech Republic but for some reason the country’s power people decided to change it. What hasn’t changed about the country is the fact it’s one of the most compelling and easiest destinations for a solo traveler! This is the most visited country in Eastern Europe, and with good reason. The Baroque splendor of its cities which remained largely unscathed during WWII, plus a laid back culture, heaps of outdoor activities and some of the best brewed beer around and this country has something for everyone, including the budget traveler. The capital Prague is one of Europe’s tourist hot spots where visitors could end up outnumbering the locals! With this is mind you should really try and avoid the crazy month of August where accommodation is tight and finding a seat in your favourite cafe will involve standing in a line outside before it opens! Another reason to avoid August is the weather. Surely mid summer is the best time to visit any Central European country? Well it can get very hot in Prague during this time and combined with the crowds this could send you crazy. If you do find yourself in Czechia during the July or August time then perhaps try and seek out some of the calmer destinations. We are thinking of places such as Brno which is the second city. Brno will have all the tourist trappings but will be less crowded than Prague. Hostels are the cheapest options if you want a bed indoors. Uni dorms are used as hostels in the summer holidays but it’s best to book ahead, such is the popularity of this place. There was a time when a decent small single room could be had in Prague for less than EUR 30 but those days are sadly gone. Because of the extra expense, particularly in the capital, many older single travellers are now happy to rub shoulders with their younger counterparts in backpacker hostels. Outside of Prague you are more likely to score a private room for less than EUR 30 – even as low as EUR 20 out of season. Private rooms in houses are generally available in the smaller towns where hostel accommodation is more scarce. Campsites are available between May and September. Eating from the market – fruit and veg or Knedliky, the local staple dumplings, is usually a good, cheap option, as is using hot dog stands and tea houses which are taking over from cafe’s with the Czech’s love of tea. Eating away from the city centres will save a bit of cash. There are always the usual fast food joints and kebab type places too for those on a mega budget! Transport is reasonably priced and in Prague the Metro, train and bus services share the same tickets, with multitrip passes available. For travelling around the countryside, buses are quicker and cheaper. Allow at least USD 20 a day outside Prague, in Prague you’ll need around USD 30. Try to avoid bars set up for tourists and seek out the Czech bars for cheaper, and nicer beer. Avoid Irish bars or you’ll be paying Dublin prices! – Drink Pilsner Urquell, Budvar or Staropramen ridiculously cheaply. 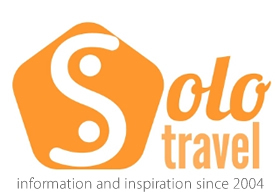 How to meet other solo travelers in Czechia? Well bars are a good place to start off. In Prague itself there are a number of bar crawls and pub tours. We went on one and found there to be many people on their own as well as couples. You are taken around a number of pubs in central Prague and get to sample various beers. Some of the group even decided to stay on afterwards and go clubbing. The obvious one of staying in hostels. Here you will meet many other travellers of all ages. It will likely be way more sociable than staying in an airbnb or hotel. Prague’s Newly Restored Astronomical Clock to Be Unveiled on September 28th! 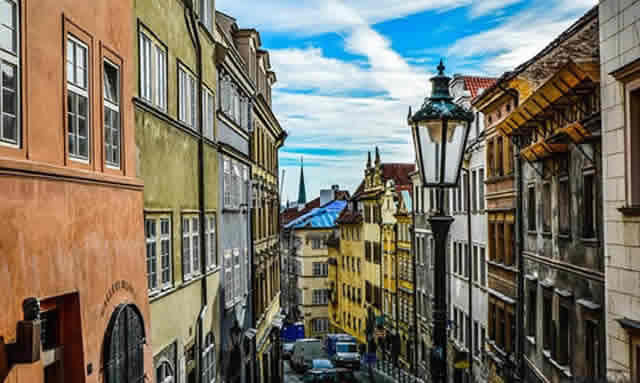 Don’t forget your EHIC and European long stay travel insurance if you are visiting Czechia.